Bayshore Towers is one of the premiere condominium complexes in Orange Beach, AL, providing brilliant design and luxurious amenities. The gated entrance to the development is located on quiet Canal Road and once inside, residents and their guests are greeted by the beauty of a professionally landscaped park area. It is truly a majestic ride in, as you pass the blooming flowers and mature natural vegetation. Bayshore Towers is a rent restricted community, thus it is the anti-resort condo on the Alabama Gulf Coast! The floor plans of the units are also designed for long-term living, combining spacious square footage with modern amenities. The privacy of the 4 bedroom units is very impressive, with either two stories of living area or 4-way split bedroom plans. All the units enjoy oversized balcony space and feature natural gas for grilling fresh gulf seafood. 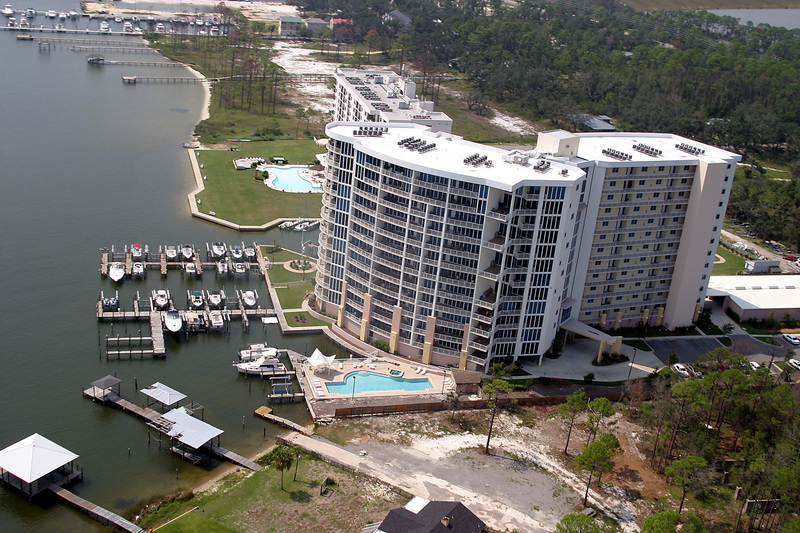 Bayshore Towers has a large marina overlooking Terry Cove, with boat slips for sale, as well as rental slips. Residents enjoy a straight shot to Perdido Pass and the pristine fishing waters of the Gulf of Mexico. There is office staff onsite daily from 8 a.m. to 4 p.m. to assists residents and guests with maintenance requests and boat slip rentals. The back-bay location of the development provides panoramic views of the Pleasure Island landscape, to include Ono Island, Perdidio Pass and the Gulf of Mexico. Call Diana Will for more information or to schedule a private tour of Bayshore Towers condos for sale.